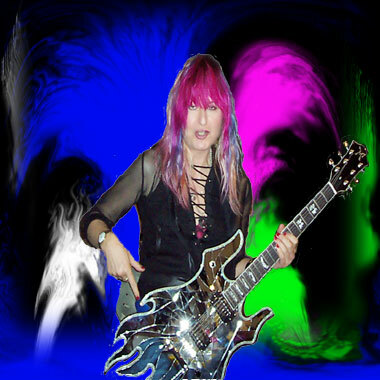 Guitar speed isn’t everything on the guitar but… it sure looks and sounds cool! Use strict alternate picking for these examples! Speed, combined with accuracy and consistency will get you there! Wanna blaze effortlessly through any solo? Very frequently I get asked by my guitar students who want to learn how to shred better, how they can improve their speed and really zoom up and down the fingerboard. Being a speed monster myself, I totally relate to that request! does not replace creating solos which FIT a given song BUT … when you want to speed and dazzle the audience with your guitar pyrotechnics, you need to be prepared to execute. Therefore… check out the exercises I like to demo for those students who want to increase their speed. I got those from another teacher who got those from some source, unknown at this point, but I really like those and have incorporated them into my repertoire. They are in triplets and involve alternate picking. There are all sorts of picking techniques i.e. alternate picking, speed picking, economy picking, sweep picking etc. It all starts with using the alternate picking technique. Use a clean sound at first. If it doesn’t sound good on a clean sound, distortion will only add mud to the whole thing. So stay clean for a little while. Below are exercise mp3s and PDF downloads.. These 2 exercises (slow & fast versions) use the C major scale in the Ionian (1st) mode. You can of course apply this concept to ALL of the 7 modes, in any key. Try to shred this pattern in the Dorian Mode or the Phrygian Mode. Pretty cool I say! Now go up and down that fretboard and make me proud. Some amazing guitarists who use alternate picking to its fullest are Paul Gilbert, Al DiMeola, Steve Morse, John McLaughlin, John Petrucci and most of the jazz greats. So get a-pickin’!! Don’t hammer on or pull of. No short cuts for these exercises. First of all, alternate picking is exactly what it says it is. You alternate between an upstroke and a downstroke or a downstroke and an upstroke. The rule that I like to use is: on your way up i.e. from low string to high string, start with a downstroke and alternate. On your way down i.e. from high string to low string, start with an upstroke and alternate. For these exercises I use the extended or linear or horizontal way of playing this scale. All three terms are appropriate and basically mean that this C major scale is played by using 3 Notes Per String. You’ll cover a lot of fretboard real estate this way, starting at the 8th fret on the low E string (C note) and ending up at the 13th fret on the high E string (F note), playing more then 2 octaves. With one mode alone! Unlike the traditional scale approach, which is: 1) more vertically oriented, 2) covers two octaves, 3) fluctuates between 2 or 3 notes per string and 4) is more condensed. They both have their uses and I urge any budding guitarist to practice the scales/modes in both versions. But for now, we’ll use the extended 3 note per string version. I am ASSUMING you have a metronome! ?? If not, use one on-line or buy one. It is essential that you can play in time with a click. Plus you can increase or decrease the tempo, depending on your skill level. So this is a must have. Set your metronome to a slow speed at first, around 60.. and start alternate picking from the low E string up to the end of the scale, as outlined in the exercises (download links below), starting with a downstroke. These exercises use 2 repetitive phrases, in triplets. Every time you move to another string, you should be on a downstroke again. If not, you did something wrong. Go back and try again. Part two of each exercise reverses the direction. Start on the high E string, 13th Fret (F note), with an upstroke and work your way DOWN to the low E string, 8th Fret (C note). Watch the picking direction very closely. under your belt and it sounds nice, clean and precise, your fingerings are proper (I included all the proper finger positions for each note), increase the tempo on your metronome by about 10. Play it again until you can comfortably feel it. Go as high as 120, which is quite fast or even more. Which is really fast. It’s all about the coordination between left/right hands, picking, and wrist action. I added a little drum beat behind the fast versions just to give it some continuity. Speed Exercise No. 1 is easier, with No. 2 being a bit more involved. But trust me, once you get going on those, your speed will improve dramatically, and you will find that other runs are becoming a lot smoother as well. So happy picking. The most important picking technique. To be mastered first before moving on to other picking styles. When playing a series of notes you alternate between downstrokes and upstrokes. If you want to improve your sloppy, inaccurate, slow picking technique, discipline yourself and use a steady, controlled and accurate alternate picking technique. This is what these exercises are designed to do. Some of my students use a weird combo of alternate, sweep and arbitrary economy picking without realizing it. To gain more speed, articulation is very important meaning: achieving a very distinct and precise attack for each note. I find that practicing articulation and distinction on the lower strings helps to build up strength. Exercises on the higher strings will then appear easier. Thank you Renata ,for those great lessons ! 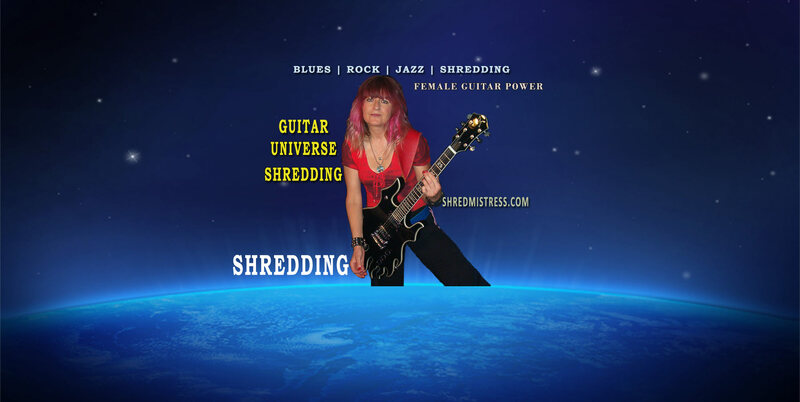 CHECK OUT THE VIDEO PAGE | Female Guitarist Shredmistress Rynata shreds, rocks and blueses !